Your cleanse is actually a lot of sugary, nutrient-deficient liquid. 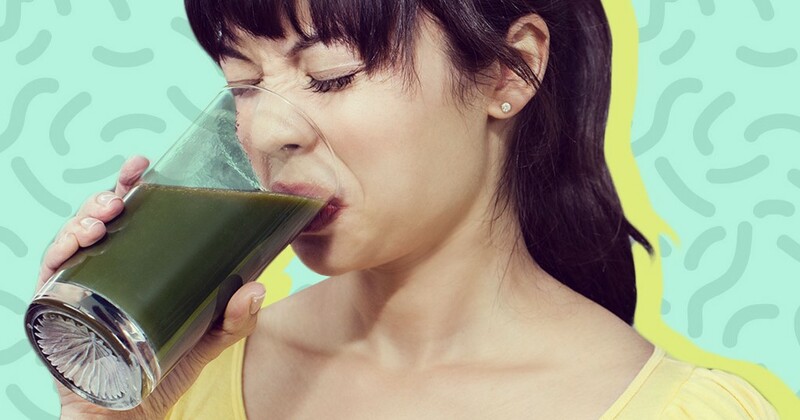 I’m no drama queen, but I’m going to say something dramatic here: If you want to be healthy, stop juicing. Juicing is not only a farce when it comes to supposedly “cleansing” your body or helping you lose weight, it’s also incredibly wasteful and damaging to the environment. Before I hit you with how harmful juicing is for Mother Earth, let’s delve into how harmful juicing is for you. First of all, the science is wack. When you juice a fruit or even a vegetable, you remove all the healthy, fibrous parts of the plant. In doing so, you’re stripping away the very part of the plant (the fiber) with the ability to provide you with any sustenance. Fruit and vegetable skins contain energy-supplying calories, vital nutrients and flavonoids, which are a kind of “phytonutriet” that’s good for your heart and helps your body fight cancer. Juicing means throwing them in the garbage. What’s more, when you sacrifice whole pieces of produce to the mercy of your juice machine, your machine gives you little more than fructose in return. Even if your juice is made entirely from kale and one apple, that’s an awful lot of sugar to be digesting without any fiber to help slow down the rate at which it hits your bloodstream. Do you think fructose is better than glucose because it’s a natural, plant-derived sugar but you associate glucose with carbohydrates like bread and pasta? WRONG. Fructose is worse than glucose. Your liver carries 100% of the burden for breaking down fructose and only 20% of the responsibility for processing glucose. That’s important because most people “juice” in order to cleanse their bodies of harmful toxins. In reality, juicing delivers a massive amount of fructose to the very organ whose job is to filter bad stuff from your system. But that’s not all. Whereas every cell in your body is designed to use glucose in order to function, fructose is simply turned into bad cholesterol (VLDL), triglycerides and fatty acids. Triglycerides are a type of fat that’s stored in the blood and can increase your risk of heart disease. Fatty acids, on the other hand, line the liver and can contribute to insulin resistance over time, potentially even Type 2 diabetes. To sum up: While you may think you’re “cleansing,” you’re really damaging your liver and drinking a nutrient-deficient, often ridiculously sugary liquid that will spike your blood sugar and leave you hungry an hour later. Your trendy juice habit is not only scientifically questionable, it’s also trashing the environment and contributing to climate change. Because all those peels, skins, seeds and pulp that you throw away when you make juice wind up in a landfill. As they sit underground, they ferment, and that fermentation produces methane, a greenhouse gas that’s 21 times more potent than CO2. Drinking a bit of fresh juice isn’t going to kill you. But if you blend proteins and good types of fat (like flaxseed oil or avocado) into that dubious nectar, it’ll help your body absorb the crucial vitamins that Mother Nature intended you to have. And if you limit how often you consume the stuff, it will help save Mother Nature herself.